The Comfort Inn & Suites City Views is located in the heart of the city on historic Bakery Hill. The four star property is perfectly positioned across from the Bridge Mall shopping precinct and within walking distance to restaurants, The Art Gallery, Her Majesty’s Theatre and just a short drive to Sovereign Hill, M.A.D.E, The Wildlife Park and Kryal Castle. The beautifully appointed rooms are contemporary in design and feature all the modern comforts including a 32” or 42” LCD TV, a kitchenette, most have sofa beds and many have spas. Stay with us year round, during holidays, business trips, weekdays and weekends. A gateway to all of Ballarat’s tourist and leisure attractions. 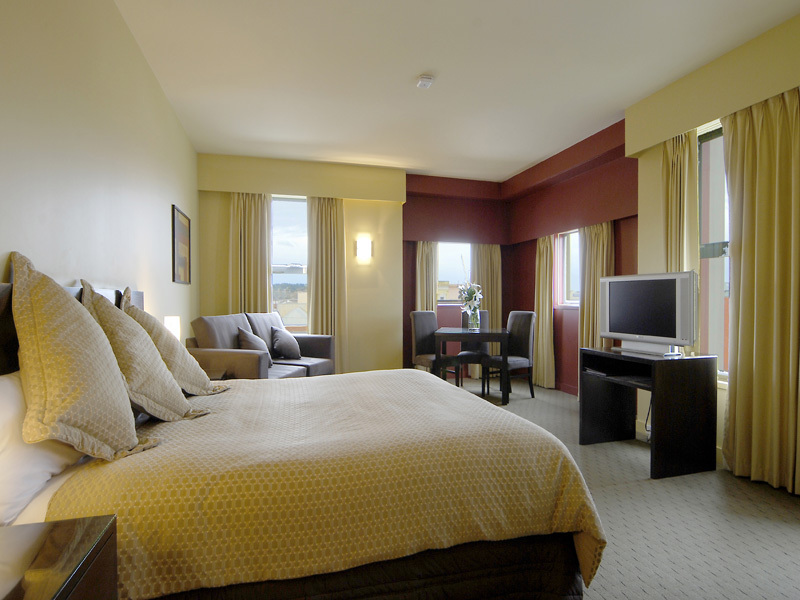 The Comfort Inn & Suites City Views offer spacious contemporary accommodation. Guest room options include Standard Queen (one which has disabled facilities), Deluxe Queen, Executive King, Standard Family (two bedroom) and Deluxe Family (two bedroom). Almost half our rooms feature corner spas or spa baths. Both business and leisure visitors will feel right at home taking advantage of our free wireless internet, free Foxtel and access to our indoor heated pool, guest laundry and off-street parking. Throughout your stay, enjoy the convenience of Room Service breakfast! For lunch and dinner enjoy being in very close proximity to a number of restaurants. Unwind in our modern Standard Queen Room which features a queen size bed (single sofa beds available in some rooms) and a 32” LCD TV. Disabled friendly rooms are available – enquire within. 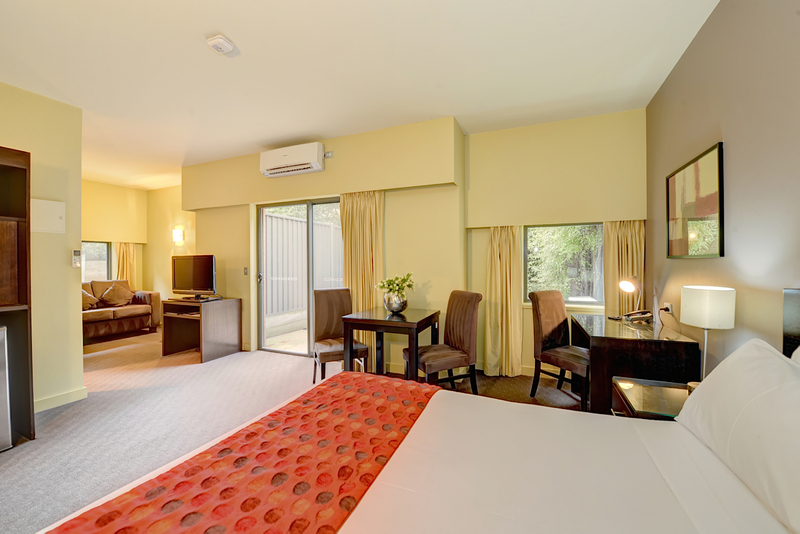 The Executive King Room oozes comfort featuring a king size bed, luxurious duck down doona, 42” LCD TV, double sofa bed, and a full length spa with and separate shower in the bathroom. 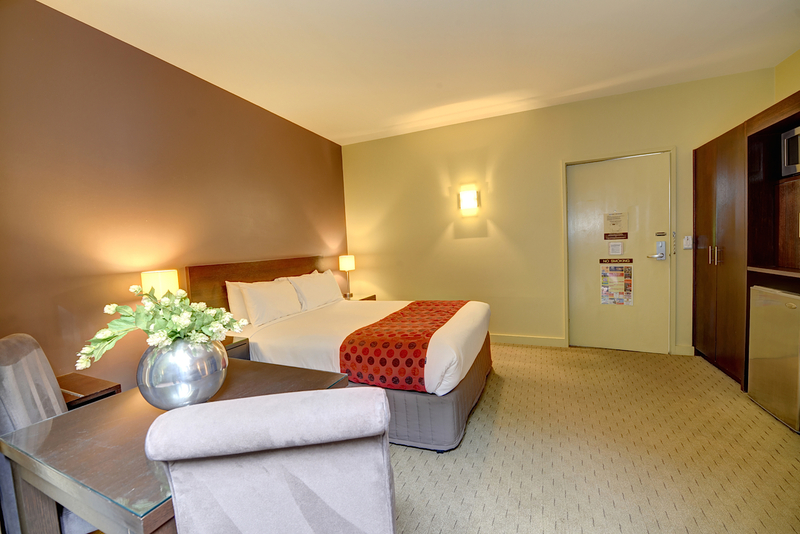 Enjoy our spacious Standard Twin Room which features two queen size beds and a 32” TV. The Standard Family Room features one queen size bed, double sofa bed and a 32” TV in the first room and 2 or 3 king single beds and a 22” TV in the adjoining room. Treat yourself to a Deluxe Queen Spa Room which boasts a queen size bed (double or single sofa beds available in most rooms), 32” LCD TV and a corner spa in the bathroom. The Deluxe Queen Room features one queen size bed, a double sofa bed and a 32” TV in the first room and 2 king single beds and a 22” TV in the adjoining room. The bathroom features a corner spa. The Four Star property is perfectly positioned within the central business district across from the Bridge Mall shopping precinct and within walking distance to restaurants, hotels, day spas, antique shops, the art gallery, cinema and theatre. The beautifully appointed rooms feature all the modern comforts, including FREE wireless broadband internet and FREE cable T.V. 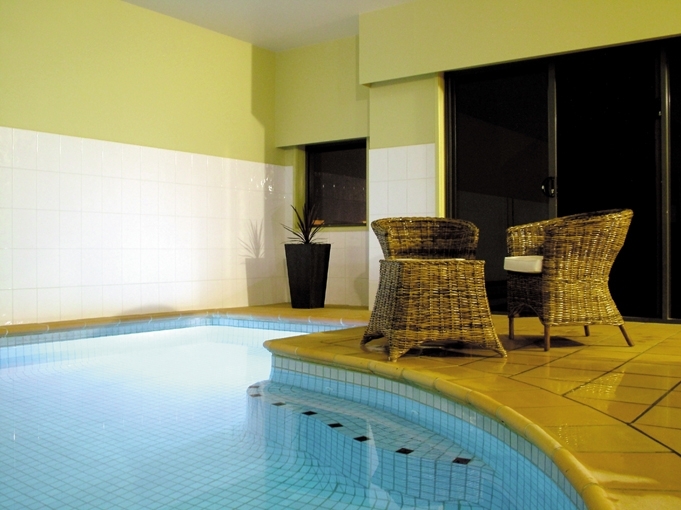 The property also features an indoor heated pool and guest laundry. Room service breakfast and dinner are available at an additional cost. We pride ourselves on delivering delicious breakfasts made from only fresh local produce. Staying with City Views is like visiting friends. The staff always greet me enthusiastically and by my name which adds such a personal touch. The motel was quiet and clean - my two biggest priorities. Room service was good and the laundry/dry cleaning service very much appreciated. 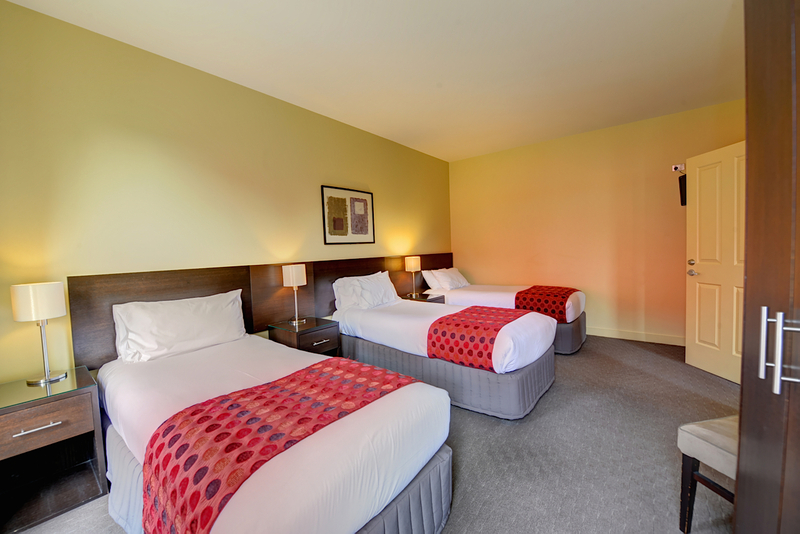 Having just spent over 3 weeks at the Comfort Inn & Suites City Views Ballarat, Victoria we want to express our thanks for the consideration we received from the Management & Staff.